In culturally diverse societies, one of the biggest questions on our minds is 'how shall we all live together?' Mutual Intercultural Relations offers an answer to this fundamental and topical issue. By exploring intercultural relationships between dominant/national and non-dominant/ethnic populations in seventeen societies around the world, the authors are each able to chart the respective views of those populations and to generate 'general' principles of intercultural relations. The research reported in this book is guided by three psychological hypotheses which are evaluated by empirical research: multiculturalism, contact and integration. It was also carried out comparatively in order to gain knowledge about intercultural relations that may be general and not limited to a few social and political contexts. 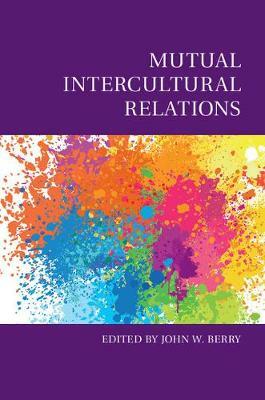 Understanding these general principles will offer help in the development of public policies and programmes designed to improve the quality of intercultural relations in culturally diverse societies around the world.